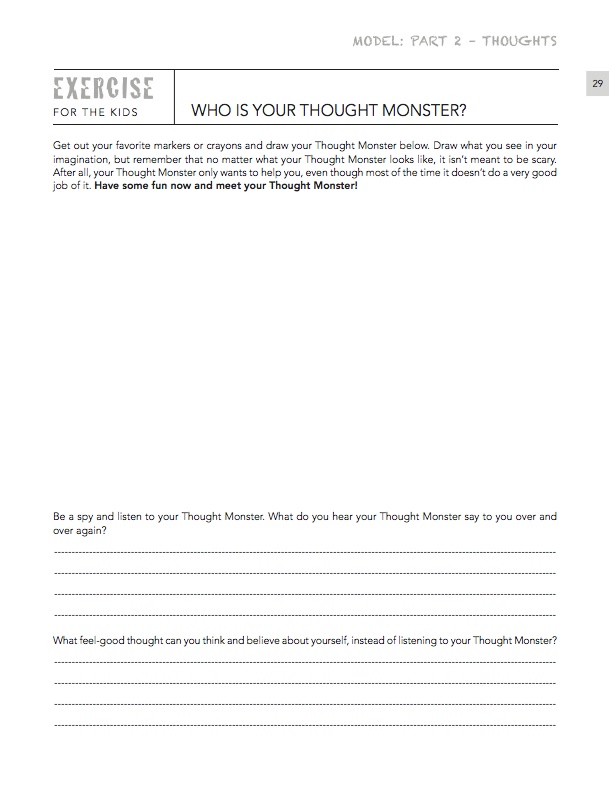 Help for anxious kids and adults; tools to bring mind-body awareness and create positive change in thoughts, feelings and behaviors. 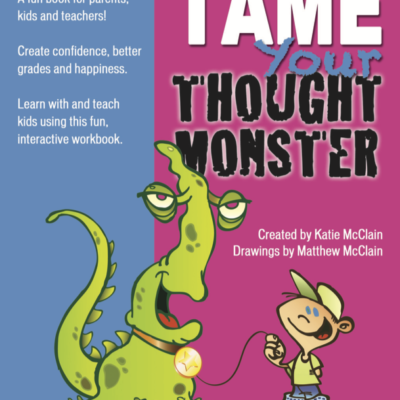 This is the original mini-mindfulness curriculum for parents, educators & kids! 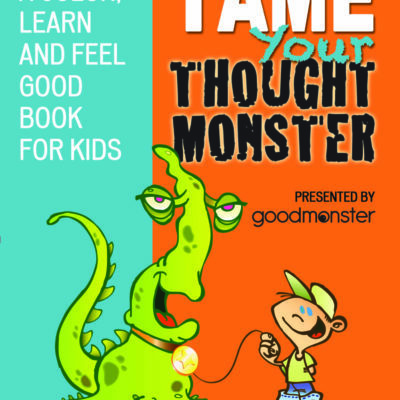 The curriculum includes a simple 5-part model along with fun characters and goofy (non-scary) monsters to help ditch drama and create positive change in mind and body. 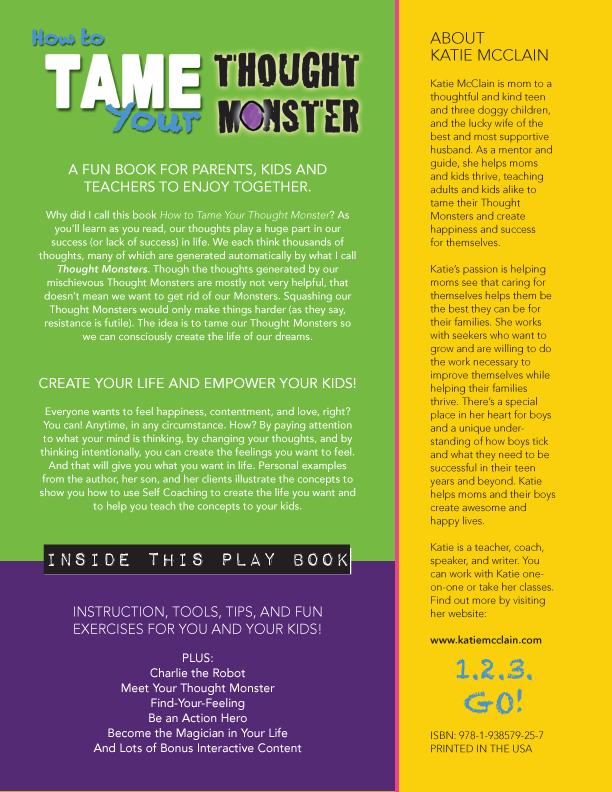 Enjoy relatable explanations of all the tools and concepts to help you and your kids feel better and do better in life and in school! 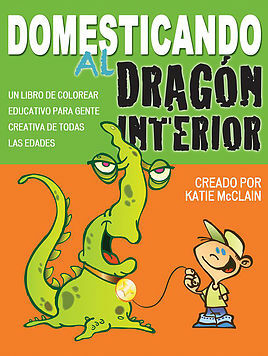 This is the original book I created and designed in 2012 for adult and child to work through the book together. 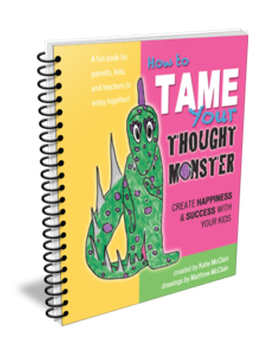 The spiral bound version of How to Tame Your Thought Monster lays flat so you can work side-by-side with your child. 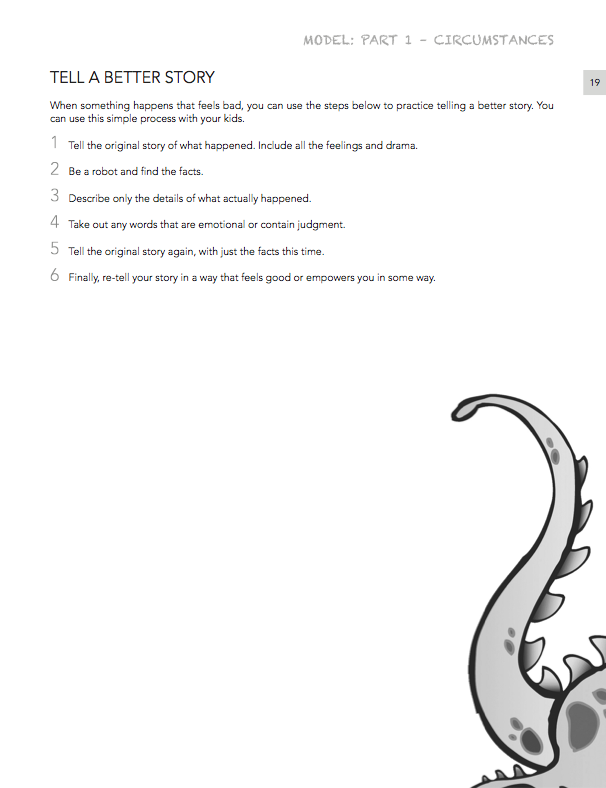 A link inside the book is available so you can download worksheets, bonus activities, mp3s, and videos. Printed spiral bound book shipped to you. This original edition is available on Amazon priced at $24.95. Purchase here for $15.95 plus shipping cost. Limited quantities available. All sales are final.